Tom and Linda (Petty) Hardin. 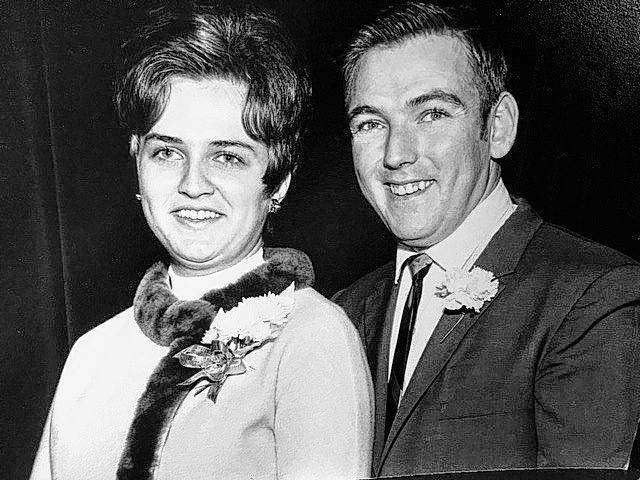 MARENGO — Tom and Linda (Petty) Hardin will celebrate their 50th wedding anniversary Sunday, Oct. 8, with an open house from 2-5 p.m. at the Cardinal Center. On Friday, October 13, 1967, Tom and Linda eloped to Willis, Michigan, where they were married in the home of a justice of the peace. Linda was originally from Columbus and Tom from Morrow County. They have spent 49 of those 50 years in the Marengo area. They are parents of two children (Machelle Collins and Tom Hardin Jr.) seven grandchildren (Tommy, Justin, Jayden, Devon, Emily, Ethan and Jacob) and two great-grandchildren (Brayden and Lilly) and in March there will be a third. Tom retired from Anheuser Busch and Linda from McDonald’s. https://www.morrowcountysentinel.com/wp-content/uploads/sites/29/2017/09/web1_Hardinanniversary.jpgTom and Linda (Petty) Hardin.